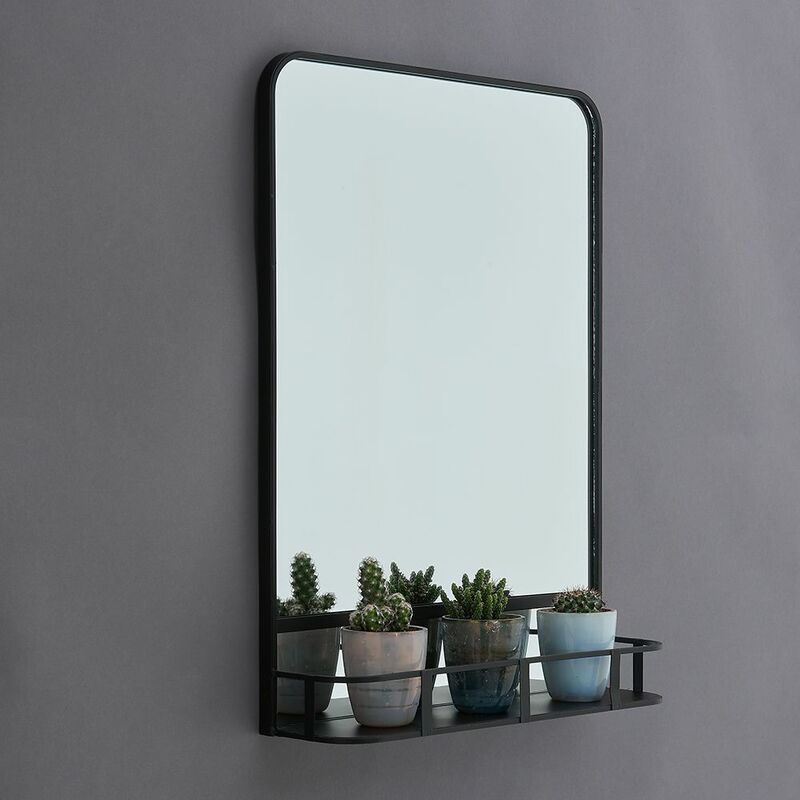 This mirror has a sturdy metal frame that's been given a matt black finish and a very useful shelf, which makes it ideal for a bathroom, kitchen or hallway etc. 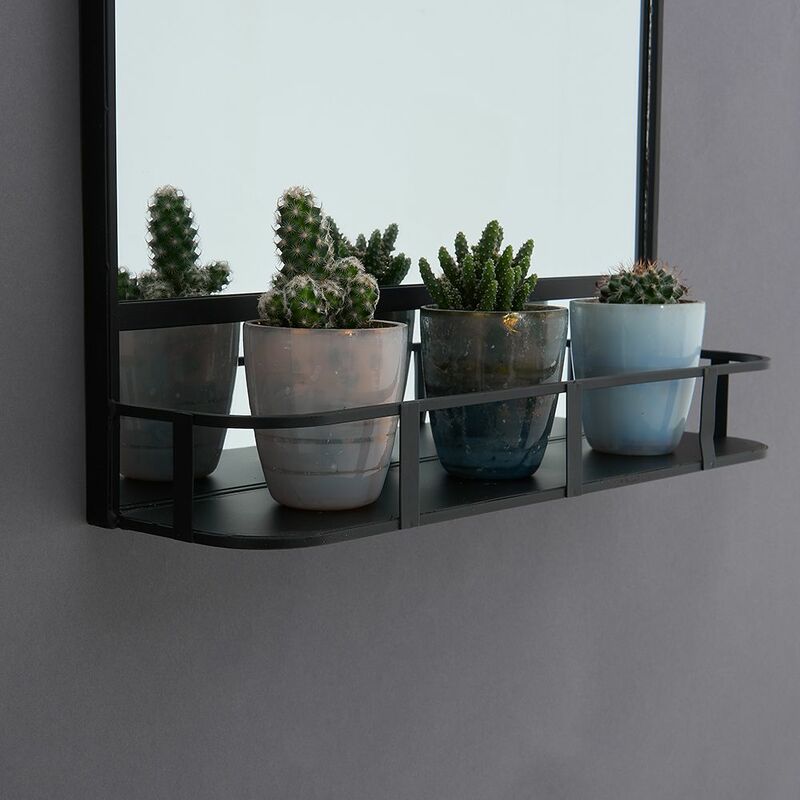 It provides an instant update to a wall space. It has brackets in the back of the frame for ease of installation. Approx: 40cm wide x 56cm high x 12cm deep.